I just popped on Gilt for a quick peek and am completely in love with the following shoes. The pink with the black toe...swoon! Those are just beyond adorable! So of course I had to share. I am LOVING that pink and black pair ! Love those pink and black shoes!! 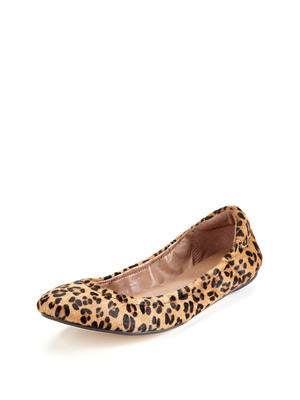 I purchased the leopard pair and LOVE them. The pink pair is darling too! I love the quilted ones.